On Friday 15th March, the results of the survey on the 2019 Champions companies were presented at the Milan Stock Exchange and anticipated by L’Economia del Corriere della Sera, released in a special issue on the same Friday. 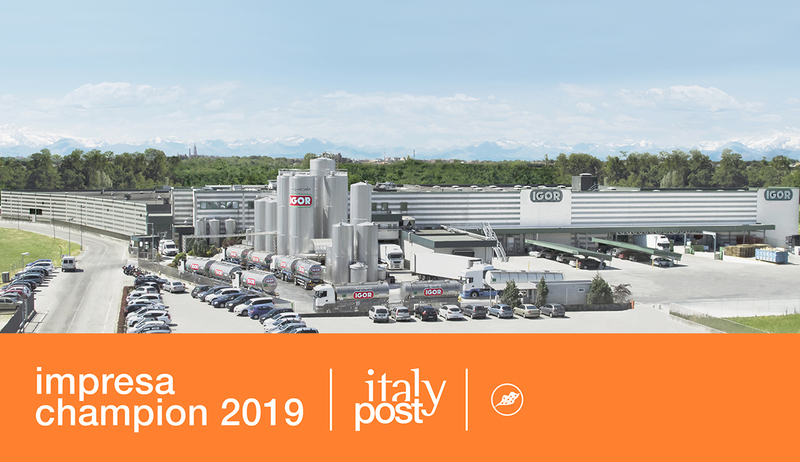 The survey was carried out by the newspaper Corriere della Sera with the collaboration of the Study Centre Italypost, supported by Crèdit Agricole and with the participation of auxiell, Glasford International and Equinox. The survey is about the 500 Italian companies with a turnover between 20 and 120 million and the 100 companies between 120 and 500 million that performed best from 2011 to 2017. The survey, which was carried out on the single financial statements of these 600 companies, showed only those that on 31.12.2017 met simultaneously more requirements of absolute excellence: an annual growth rate of at least 7% for the champion companies and of 4,5% for the super champion ones; an average EBITDA of the last three years of respectively 10% and 8,5%; a PFN/EBITDA ratio of respectively 1,8 and 2,5 and a rating assigned by Modefinance with at least a triple B.
IGOR GORGONZOLA, with great pride, became part of the 100 SUPER CHAMPION companies, those with a turnover from 120 to 500 million. We are really proud to be among these 100 Super Champion companies” – declares Fabio Leonardi, the CEO of Igor. “We reap the benefits of the hard work of the last years carried on by Leonardi family with great foresight and attention to each single detail. We think, we can go on growing. We invested with great courage and confidence in the potentiality of gorgonzola by building a fifth extension of our headquarter and now the total covered surface is more than 50.000 sqm. In December 2018 we set up a new production plant “gorgonzola 4.0”, with the highest attention and the use of the expertise of Igor master cheese-makers in order to obtain a “premium” gorgonzola ensuring a constant quality and safety for all gorgonzola consumers in the World, where the demand of our product is increasing continuously”.